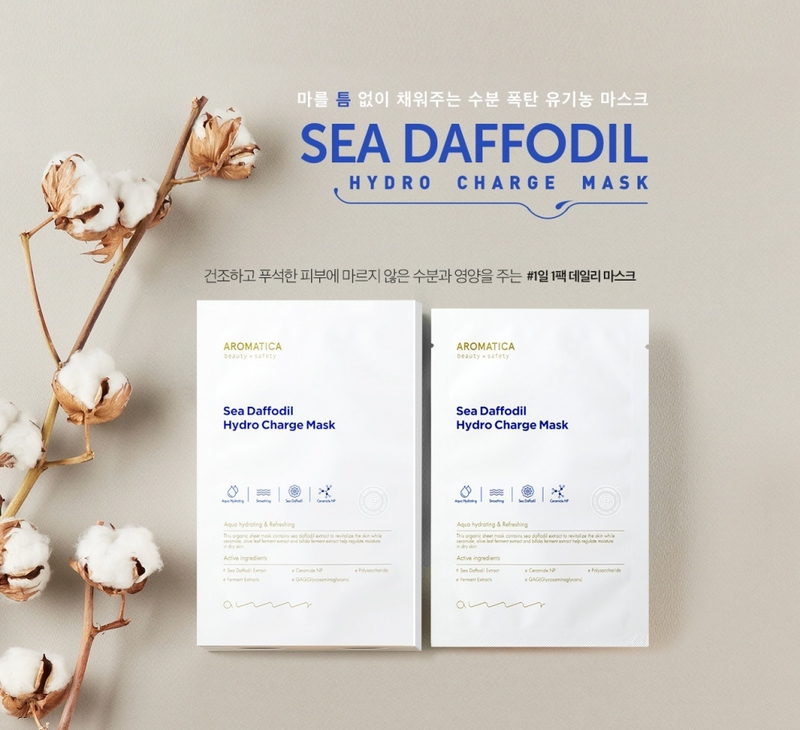 Radiant your Skin Care with the [Aromatica] Sea Daffodil Hydro Charge Mask 5ea! we aim to provide you best korean products to take good care of your skin, including Cosmetics, Skincare, Mask Sheet. Hydra Mask Sheet online. Deeply hydrating organic cotton sheet mask formulated with Sea Daffodil extract that enhances moisture while Ceramide and fermented extract out of beans and bifida adjusts the moisture balance of dry skin. 1. After cleansing your face, and (optionally) applying toner to refine skin texture, remove sheet mask from packaging and unfold it. 2. Carefully fit the mask over the face and leave for 15-20 minutes. 3. Remove mask and gently pat in any remaining essence into your skin.